It's a bird, it's a plane, no it's... the logo! Warner Bros. debuted the film’s official Facebook page earlier this week which unveiled the shiny new logo for the superhero film Man of Steel, directed by Zack Snyder. The ever so lovely Henry Cavill is our new Superman (HOT!) and Russell Crowe as his father Jor-El, as well as a new cast of bright faces. The logo is nicely made of, well, steel, and the whole thing is slightly reminiscent of Christopher Nolan’s Batman posters. This makes sense, as Nolan is a producer, which gives me hope that this reboot might be as good as it deserves. We have yet to see any footage or a trailer yet, but I'm sure we can expect one or two this summer, at least with The Dark Knight Rises. In the meantime, it sounds like we should keep an eye on this Facebook page, as it looks like more updates will be hitting there soon. In Zack Snyder's Superman, Henry Cavill (hot!) plays the new Clark Kent, who goes toe-to-toe with General Zod, played by Michael Shannon. The main cast also includes Amy Adams as Lois Lane (which I'm still on the fence about), and Diane Lane & Kevin Costner as Martha & Jonathan Kent and even Russell Crowe as Jor-El. The screenplay was written by David S. Goyer, based on a story by Goyer and Nolan. 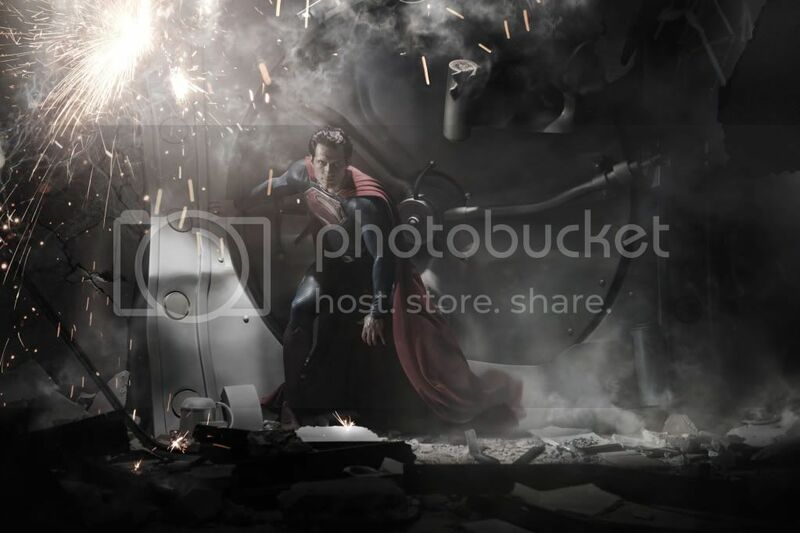 Man of Steel is now slated for a June 14th, 2013 release date. That’s so far away!